Welcome to Leisure World rentals at Leisure World of Maryland, a retirement community at 3701 Rossmoor Blvd. in Silver Spring, Maryland (Admin Office). In addition to purchasing, there are a variety of homes, co-ops, apartment-style homes and condos available to rent. These are privately owned and rented from the owners. Most are listed with Realtors. You can find rental listings by visiting or calling local Realtors. 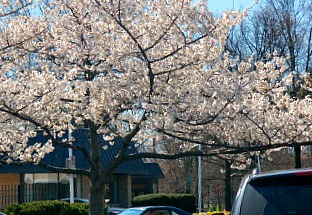 These are located in the adjacent Leisure World Shopping Center. 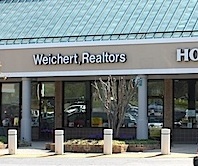 Weichert Realtors also has a 2nd office in the Administrative building inside Leisure World. They have rental listings. (Previously Cathy Gilmour Real Estate) -- this office was previously Cathy Gilmour Realty and has been serving the Leisure World Community since 1965. They have a good list of rentals. They highly specialize in Leisure World. If you call them no matter who you talk to their agents are thoroughly trained on Leisure World. They are taught about the many floor plans and advantages of each. 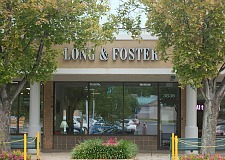 Call their office, located in the adjacent Leisure World shopping center, directly to ask about their rental list. This is the official newspaper for Leisure World residents. It is a multiple page newspaper with articles, news and features of interest to its residents. It also has a large classified section intended for its residents including a real estate rental category. Both private individuals and real estate offices advertise here. You can reach Leisure World News at 301-598-1310. Recent Leisure World Rentals as seen in these newspapers range from $900. to $2300 for one and two-bedroom townhomes, apartments and condominiums. They may or may not include utilities in the rent. 2) The Beacon Newspapers regularly has rentals listed in their classifieds. Phone number is 301-949-9766 to order a paper. Not all rentals are advertised so it is best to contact the real estate offices listed above for more listings. The reliability of classified advertisers as above is not guaranteed and we make no recommendations. 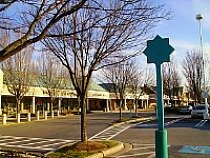 3) Other real estate offices: There are some other real estate offices that have Leisure World Rentals. They will usually advertise in the classifieds of the Leisure World newspaper or The Beacon newspaper. You can pick up free copies scattered in various places in the community or clubhouses. Cars are lined up awaiting entrance to Leisure World at the front gate. You must gain permission to enter when visiting. Call the gate at 301-598-1044.
Leisure World has some strict rules for owners about renting. Stop by the Administrative Office (during weekday office hours) for information on rental regulations. The Admin building is next door to Clubhouse 1 near the main entrance. The term of your lease may be restricted in the co-op (currently it is a maximum of 3 years in the co-ops). Other areas of Leisure World (the condominiums) have different rules and no restriction on lease length. You can inquire at the Leisure World offices or at the local Realtors. Verify all information. Rental rates vary from approximately $900/mo for a studio in the co-op to $2500/mo for large apartments in the newer condominiums. Rental Fee Example: A 2-bedroom co-op town home rents for around $1550/mo. more or less (utilities are usually included in the co-op). Rental rates have recently increased slightly. If it is a snowbird rental, it would be for only six months and usually begins in November. Renting at retirement communities can be a good way to find out if you like the particular community. 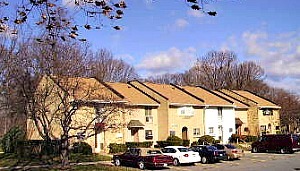 Leisure World offers its residents many outstanding amenities that cannot be found anywhere else in Montgomery County. 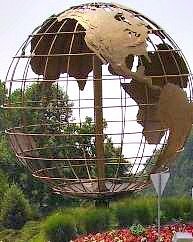 For more thorough information about this highly-rated community, see our review of Leisure World. Please see our review of the Leisure World of Maryland community.